This week's Little Red Wagon Challenge #383 is hosted by Brenda and her challenge this week is to use March's Birthstone colour which is Aquamarine as your primary colour for your project. I had coloured all these Lawn Fawn images a while ago and when I saw this challenge I knew this is where I would use them! March happens to be my birthday month and Pisces is my sign so underwater scene is what came to mind :) I used Lawn Fawn ink pads for the background with my duster brushes and then added all the fishes, and other underwater images to create a scene. My images are all coloured with my Copic markers and I used gold embossing powder for my sentiment. 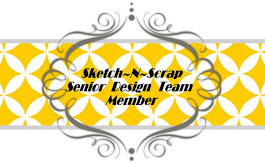 I finished off the card front with a scattering of gold sequins. Oh this is really cute Mandy. Your fishes are so pretty!!! Fab card, Mandy! Loving those happy fish! It had to be water, right Mandy? This is a darling card, I love all those wonderful fish, so perfect! What a fun card, Mandy! And by the way Happy Birthday! Happy birthday, Mandy!! 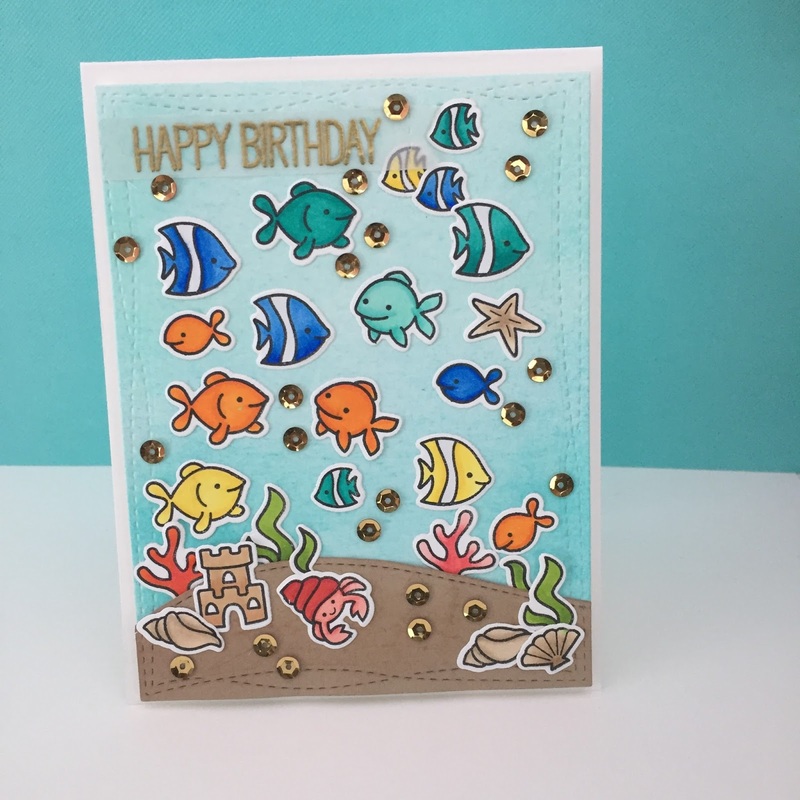 Your card looks FABULOUS with all those fish!